The history relation between British and Indonesia have been so long created. In the literature we simply could found about the story about Sir Francis Drake reached Moluccas in 1579 on his circum-globe journey, which supposed to be the first Englishman officialy exploring Indonesia. 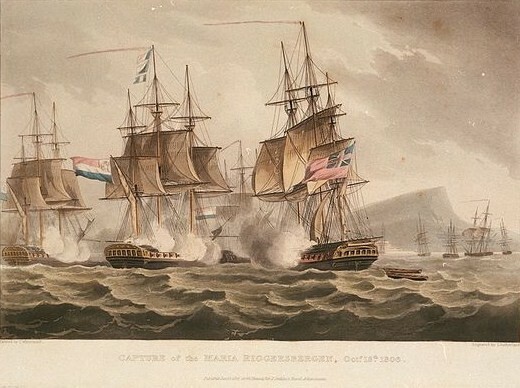 Then also the story about their post in Banda in 18th century that then its sacked by Jan Pieterzon Coen, the exchanging between Pulau Run and Nieuw Amsterdam (Currently New York) through the Treaty of Breda in 1667, and also during the Napoleonic War, the British taken the DutchIndies, and creating such a notable person, Governor General in Java from 1812-1816, Sir Stamford Raffles with His famous book, The History of Java published in 1817. Then I am wondering as always, how about the story about the British peoples/company in Semarang? Semarang Map in 1920, issued by NILLMIJ depicted two British Company in Semarang. Their office is situated in Oude Stadhuisstraat (now Jalan Branjangan) in Kota Lama (Old Town) neigborhood, and the company name is MacLaine & Co. and McNeill & Co. According to G. Roger Knight books titled Trade and Empire in Early Nineteenth-centtury South East Asia: Gillian MacLaine and His Business Network, there was a notable English company in Dutch Indies, Maclaine & Co., an English trading company that established by Gillian Maclaine and Edward Watson in 1822. MacLaine's coming to Dutch Indies in actually earlier, even in 1821 Gillian Maclaine involved in a scheme hatched during the course of 1821 to rent further and very large tract of land for coffee growing from the ruler of Surakarta. After the establishment of Maclaine & Co. the business still related with the coffee, to became an export commodities. MacLaine & Co. beside growing its own coffee in their plantation in Melambong and Getas villages, both nearby Salatiga which also doing a coffee-buying to the others plantation, to accomodate the needs of export. In 1823, they opened their agents office in Semarang. Later Maclaine joined with the Scottisch owned company, McNeill & Co. one of firms that came to comprise the group of Asia-based enterprise that formed core of Maclaine Watson network. Thus, this two company having a same office building in Semarang. Their office even became the British Consulate in Semarang, its also depicted on the same map, as its mentioned before. 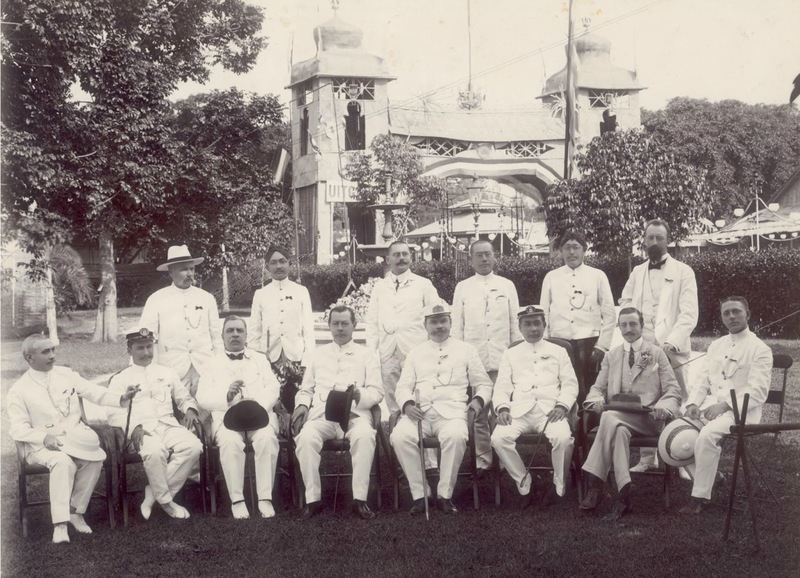 The opening of the first Jaarmaarkt in Semarang 1908, an exposition about the business potential in Semarang and its surround. D.M. Campbell as the Head McNeill & Co. in Semarang sitting in second position from the right. But then not so far from the MacLaine & Co. and McNeill & Co. office, there is another British company office. The insurance company named Liverpool & London & Globe Insurance Co. established their representation office in Semarang, also in Oude Stadhuisstraat. Date back to 1836, the year the Liverpool Fire and Life Insurance was established, within a few years, through several acquisitions, it became a prominent actor in the insurance sector. Among these companies taken over was the London, Edinburgh & Dublin Insurance Company in 1847. In 1864, following a successful bid for the Globe Insurance Company, a London-based insurer founded in 1803, the company then became The Liverpool & London & Globe. The Liverpool & London & Globe had a strong presence not only in the UK, where it was one of the main insurance companies, but also in the British empire, especially in Canada, Australia and New Zealand, and even in the US, where its first branches had opened in 1848. In 1919 the Liverpool & London & Globe was acquired by The Royal, a company based in Liverpool and one of the greatest British exporters of insurance, in what was the largest merger in British insurance history. But then in 1919, the company acquired by the Royal Insurance group until the 1996, when the merger between this company and the Sun Alliance changed the name again into Royal & Sun Alliance Insurance, and started from 2008 its simplified the name into RSAInsurance Group, until now. that makes the people misinterpretated about the name of the building. Still dont know when the company is left from Indonesia, but the big possibilities its also nationalized during the early stage of the Indonesia indepence. The building of Liverpool & London & Globe Insurance always mistaken as the Roode Driehook, since likely for the needs of the movie set in Kota Lama, the creative team placing a sign name Roode Driehook in the walls of the building. The words sounds so dutch, and the people thoght that its named as Roode Driehook since the establishment of this building. Also, its became one’s of the favourite place to taken photos since the Kota Lama now became one’s of the tourism destination in Semarang. 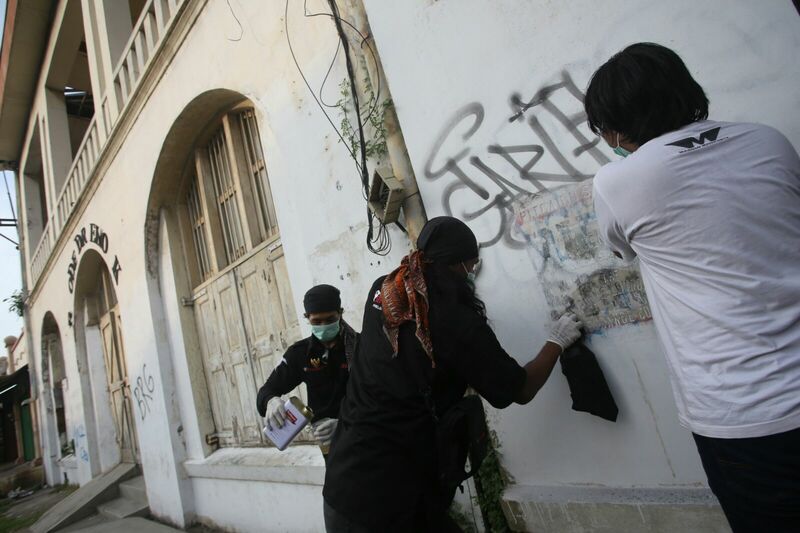 But still, the acknowledgement of the building remains unimportant for most of the visitor, even the plaque that stated if the building is the office of Liverpool & London & Globe Insurance was heavily damaged by the vandalism, but on January 17th 2016, its cleaned by Lopen Semarang History Community. Actually, its already twice We cleaned this marble plaque from the vandalism, wish it will be the last time for Us to clean it up.